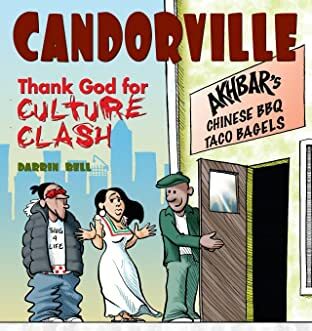 Darrin Bell's Candorville is an insightful comic strip for today's world. 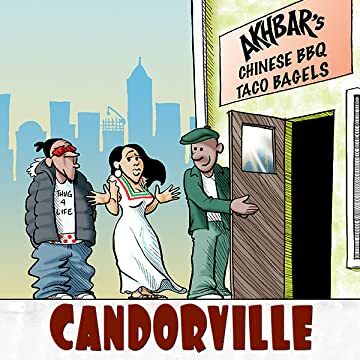 Brutally honest but still evenhanded, Candorville takes on some of society's toughest issues, giving readers something to think about--as well as smirks, chuckles, and guffaws. 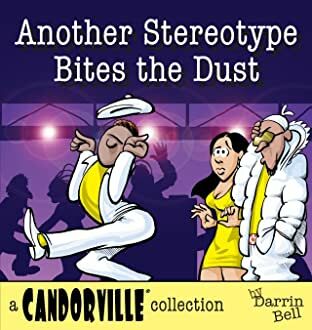 Another Stereotype Bites the Dust is a collection of creator Darrin Bell's Candorville cartoon strip. In this thought-provoking strip Bell uses a diverse group of friends to paint a real yet humorous portrait of inner-city America. An educated underachiever, Lemont Brown is an aspiring writer. Socially conscious, he wants to work at changing the world and infusing it with wisdom and justice--if only he could pay his rent. Lemont's childhood friend Susan Garcia is a book-smart and street savvy Mexican-American woman who won't let bigotry or any glass ceiling keep her down. And Lemont's friend Clyde (aka C-Dog) is a streetwise thug and undiscovered rapper who'd rather mooch off his mother than get a job. Another Stereotype Bites the Dust deals with some tough issues--poverty, homelessness, racism, and personal responsibility--with knowing irony and incisive satire. Bell uses edgy dialogue and modern situations to jab everything from political correctness to political spinning, from political hindsight to office politics, making it a hit with the socially aware.